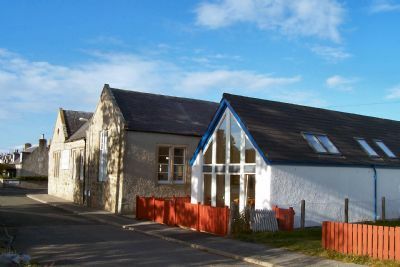 Findhorn Village Centre, Forres, Moray, Scotland, sleeps 10-24 in 4 bedrooms. The accommodation comprises two 10-bed dormitories plus two twin supervisor bedrooms, a kitchen, dining, social area with self-catering facilities, drying room and shower-toilets. 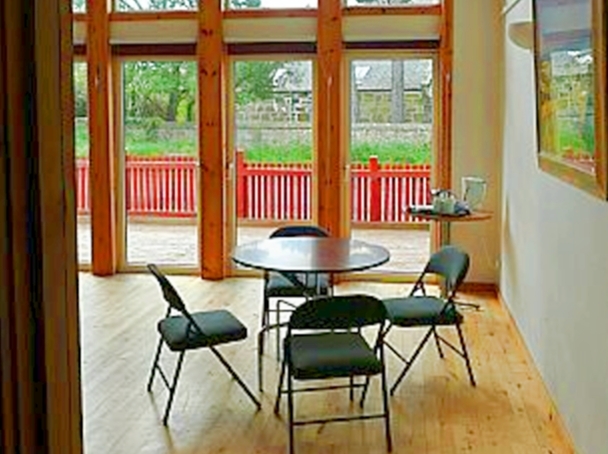 Adjacent to the Hostel is our mini conference/activity facility which can be booked separately. Findhorn Village enjoys a very beautiful location. 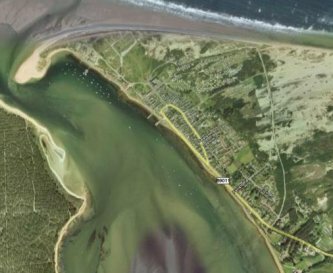 It is a former fishing and sea trading village situated between six miles of sandy beach to the east and Findhorn Bay Local Nature Reserve to the west. 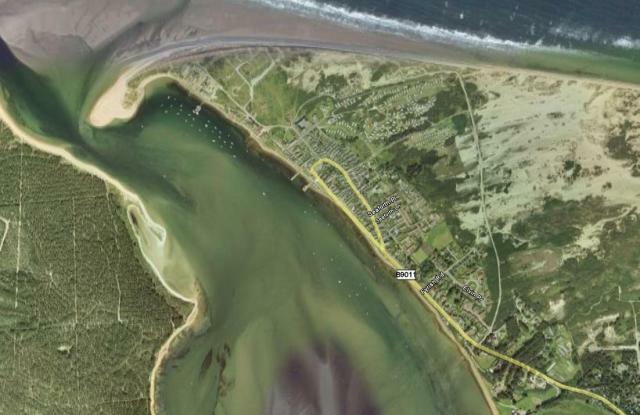 The Hostel is adjacent to Findhorn Bay where the River Findhorn enters the Moray Firth. 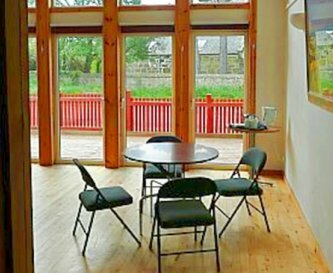 The Hostel is set in the Heart of the Highlands and surrounded by many historical and educational sites. A wide range of natural environments are at hand - beaches, sand dunes, forests (including the famous Culbin Forest)and mountain ranges. There are opportunities for walking, cycling, water sports and watching a wide variety of birds and other wildlife. Although we are not an Adventure centre, there is a wide range of Sporting, Environamental, Arts and Recreational activities available with local organisations in the area; such as Findhorn Marina, Moray GIG, Outfit Moray, Dolphin Centre at Spey Bay, Wild things! Education in Action and the Findhorn Foundation to name a few. Within 5 minutes walk there is a football field, children's play area, two all weather tennis courts, run by local clubs. The bay is ideal for all water sports. There are also 3 swimming pools and a Skating rink within 10 miles. 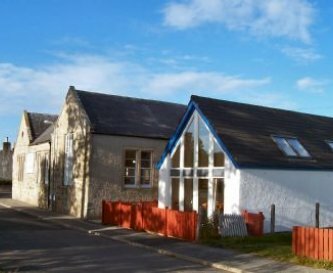 Findhorn is a little under an hour's drive away from Aviemore's Loch Morlich for water sports and the Cairngorm mountain range for walking, climbing and snow skiing, Spey bay Wildlife reserve, Loch Ness and the beautiful Black Isle. And just 30 to 45 minutes drive to the two Wildlife country parks and the amazing Landmark Adventure Centre. What ever the Scottish weather at Findhorn, there will always be activities to suit your needs. Seating for 24. Attached Village Centre Conference facilities can be made available. Mobile reception and Wi-Fi access available. Two 10 bed dormitories, a smaller twin room, an en suite family room for 4 plus a self contained studio flat to sleep 6. Bed linen is provided but we cannot supply towels, sorry. Ladies, gents and disabled bathrooms. The disabled bathroom is a wet room. Extra Showers available on Request in the attached Village Centre. We do have facilities in place for the disabled. Please contact us to discuss your needs. There is a travel cot and children's equipment available if required. 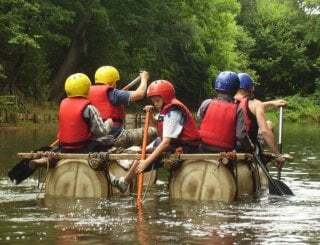 Tennis, sail training, white water or beach and forest walks. Various Outdoor adventure companies work in this area and information can be provided. Swimming pools are available in the next Towns of Forres, Nairn and Elgin. 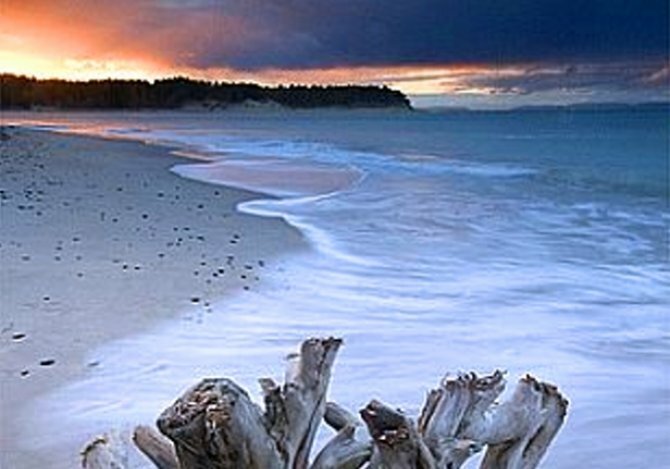 Findhorn Village enjoys a very beautiful location. 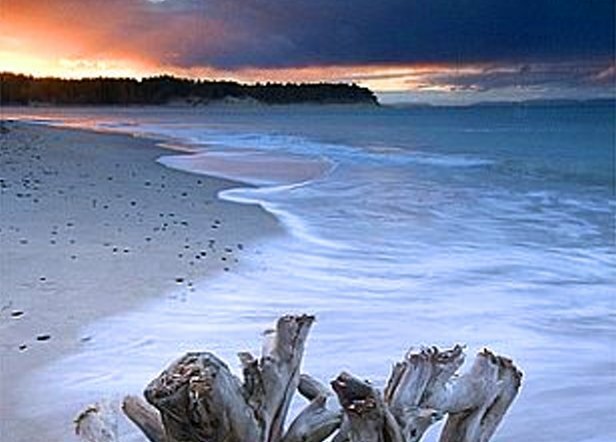 Situated between six miles of sandy beach to the east and Findhorn Bay Nature Reserve to the west. We are 32 miles from Inverness and 80 miles from Aberdeen. Our nearest towns are Forres, Nairn and Elgin. Local village shop is 5 mins walk. Supermarket in local town of Forres. 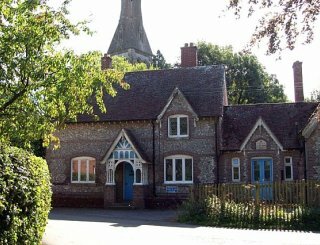 There are 2 local pubs in the village (5 mins walk) both serve food and 3 café's all within a short walking distance of hostel. Advance booking required to guarantee entry. Please get in touch for rates including group discounts and exclusive bookings. We charge a cleaning fee of £30 with group bookings of 10 or more. 10 minutes drive away at Forres to go to Inverness or Aberdeen. Just outside the door going to Forres or Elgin. The Number 31 run by Stagecoach. Inverness 45 minutes or Aberdeen 2 hours.